Have you been looking for a new outdoor activity to do as a family? Are your kids interested in fishing, but you don’t know where to start? This free introductory workshop is designed specifically for families to learn how to fish together! 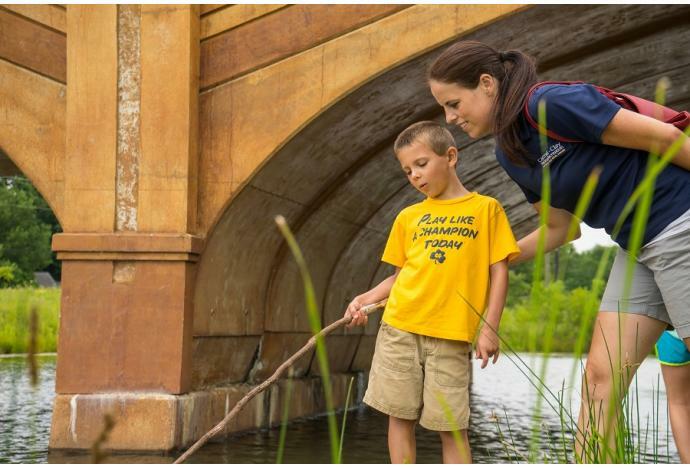 You’ll learn a little fish biology, gain some basic fishing skills, and finally, apply what you’ve learned along the Central Park Lagoon. No fishing license required as the day of the class is a Free Fishing Day! All fishing supplies are provided, but participants are encouraged to bring a chair. Each family member needs to register, and each child must be accompanied by an adult. Sponsored by DNR’s Go FishIN program. Pre-registration required.